As depicted in Entrepreneur Magazine, the company's transition to a new generation of leadership went smoothly, thanks to early planning. You will find key points to consider about business succession in the magazine. The Borer family is representative of many of our clients, whom Credit Suisse has advised both professionally and personally for decades. With the Entrepreneur Desk model, in which two team members offer comprehensive advice on all banking and financial matters, we put the focus on the entrepreneur. 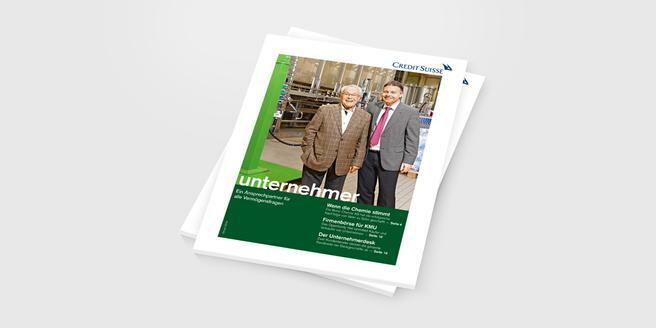 Read how a team can manage your assets more consistently in the interview with Andreas Schafer and Daniel Wirz. Learn more about the topic "Your Advisor in Wealth Management."